Oahu is not your far flung deserted tropical island with acouple of hotels on an expanse of empty beach (if you are looking for this, try Lanai). 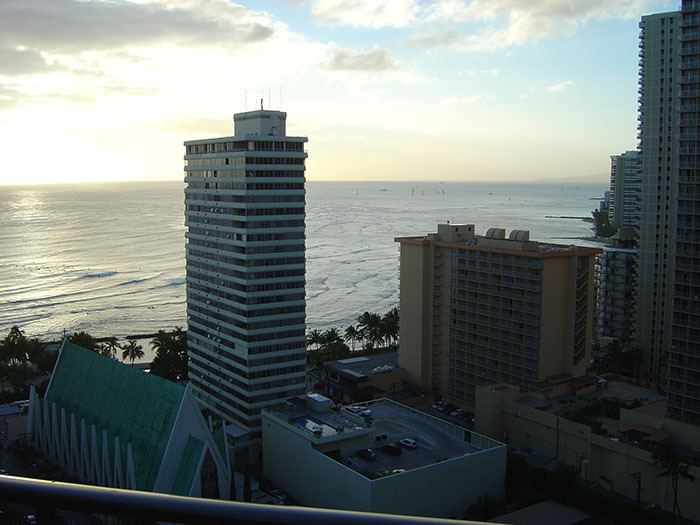 Waikiki is an urban metropolis, a mass of 70’s high rises, shopping malls, restaurants and a hub of activity sat beside a stunning white sand beach and a warm inviting ocean. Like most visitors, we arrived into Oahu on a Jumbo. On our first visit we were quite surprised at the extent of the high rise. 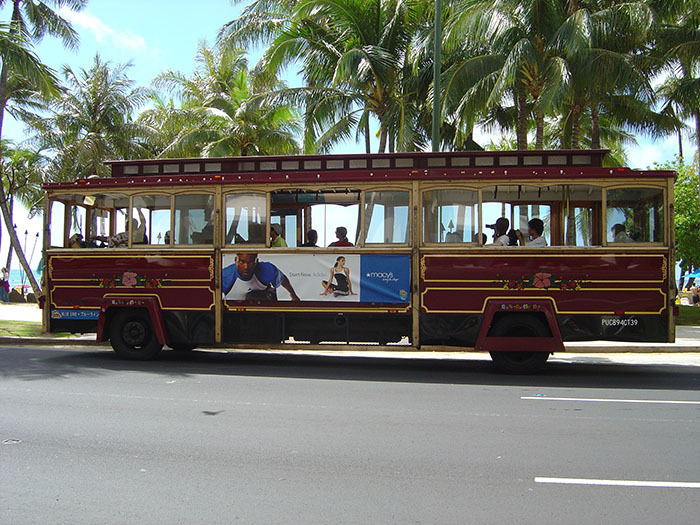 Waikiki has every amenity imaginable, thousands of shops, restaurants and hotels, but everything being on top of each other makes waikiki alittle hard to bear if you are looking for a relaxing and sophisticated holiday. In fact as most airlines also fly direct to Maui, if you are after a quieter holiday it would be worth considering avoiding Oahu altogether. For europeans, its nice to stock up on the cheap skate/surf gear, and to visit shops like Abercrombie, Guess, Bebe etc which are usually cheaper outside of Europe, plus Waikiki offers a cost effective way to get over jet lag as hotels tend to be cheaper here. 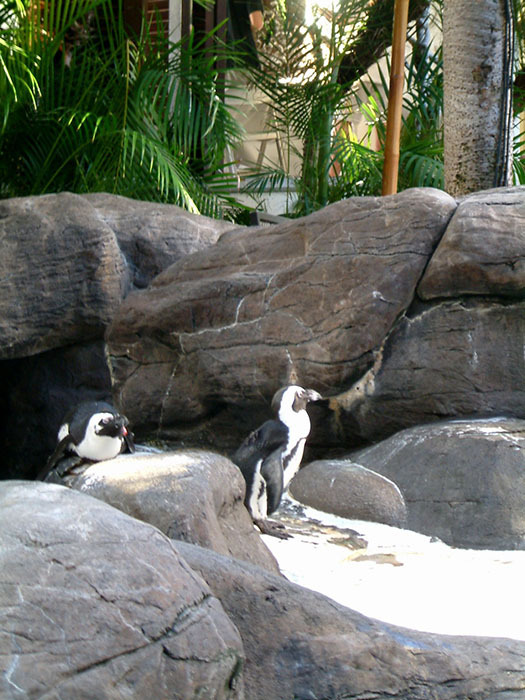 Having said this, on our next trip we intend to fly in and out of Maui and hop over to the Four Seasons At Hualalai and the Fairmont Orchid, rather than stopping in Waikiki. There are beautiful corners of Oahu but you will need to rent a car and drive up to the beautiful north coast to find the “real Hawaii”. In fact the deserted island series “LOST” was filmed on Oahu, but you absolutely need a car reach these magical corners. 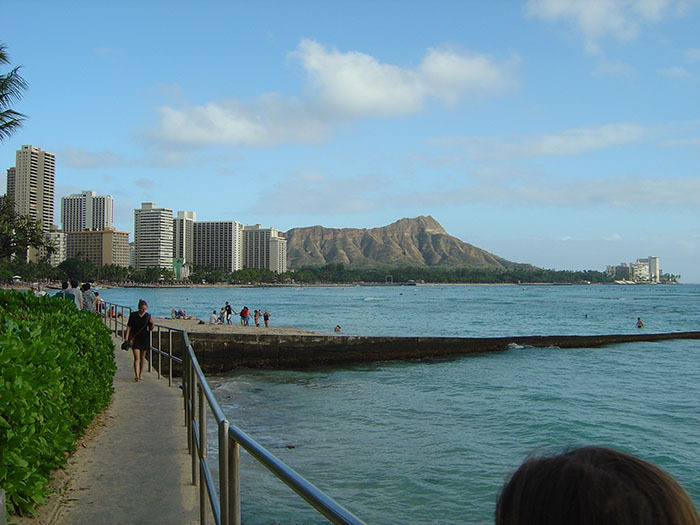 Other must do’s include visiting pearl harbour, hiking up Diamond Head (the mountain across Waikiki bay – we trolley up and back, the hike itself takes 50 minutes) and snorkeling Hanauma Bay. 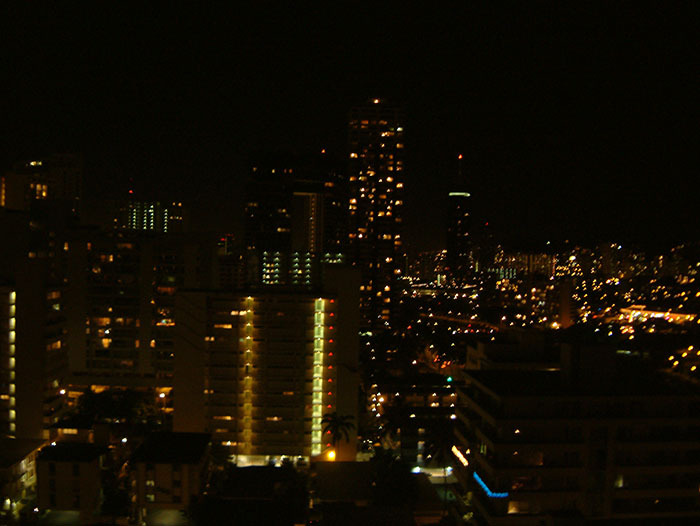 You are spoilt for choice in Waikiki, although quality is somewhat lacking. 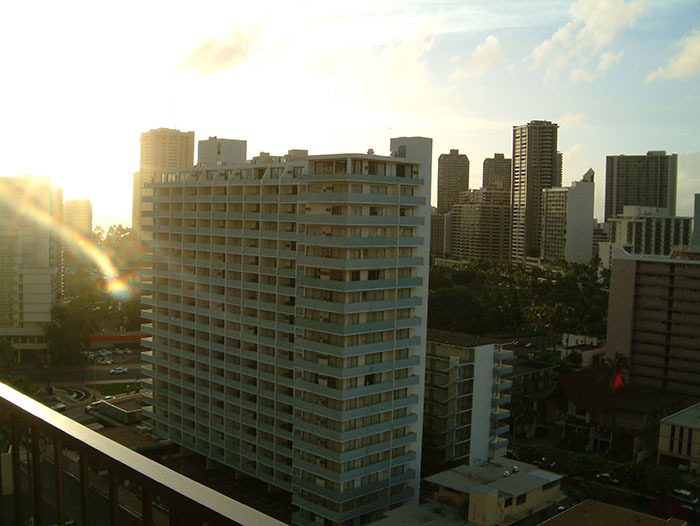 Your best bet is the Halekulani, a member of lhw.com and easily the best in Waikiki. 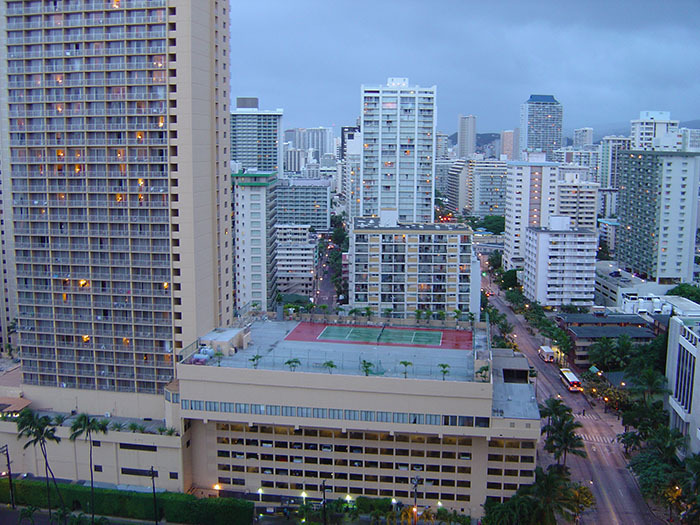 For a slightly cheaper but icoinc experience afew doors down, the Royal Hawaiian “Pink Palace” and the first hotel built on Waikiki beach is worth a night. 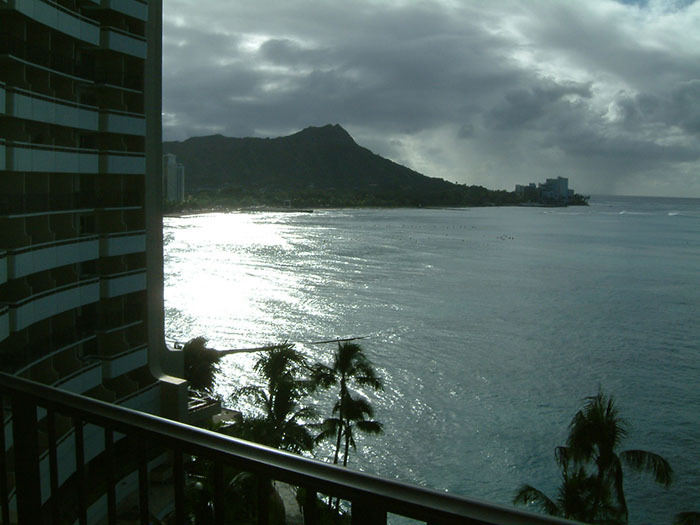 We stayed at the cheaper Sheraton Waikiki, also only afew doors down and a huge concrete monstrosity, but the views from the rooms out to Diamond head are stunning. Our latest insider information tells us that the Four Seasons are opening a hotel on the West Coast of Oahu which would make this Island much more appealing and opens up a potential twin centre trip on Oahu. 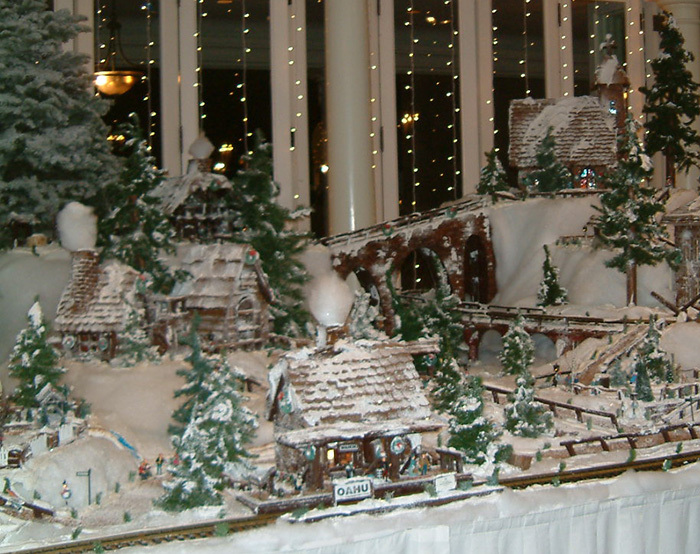 For more information on this click here. Every major chain imagineable has an outlet on Waikiki beach. For a good value feed with tasty fish and a fun Hawaiian atmosphere, Dukes Waikiki adorned with tiki torches is a good bet. For fine dining, my favourite is La Mer, located in the Halekulani hotel in the centre of Waikiki, with excellent french cuisine, elegant open-air dining and views across the bay. Michelin-award-winning chef Yves Garnier melds classical French influences with fresh island ingredients. It’s pricey but very good. 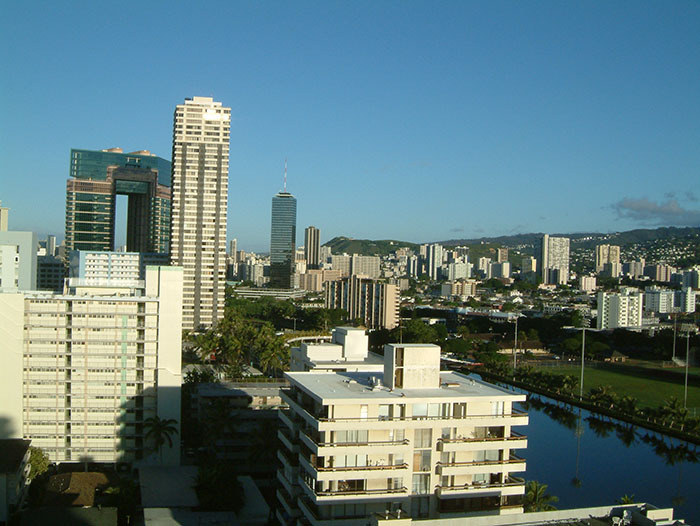 Japanese Morimoto’s by the Marina also comes recommended, Alan Wong’s restaurant in Honolulu is shrine of Hawaii Regional Cuisine but there is no view so no romantic sunsets here. Chef Mavro Restaurant in Honolulu has excellent french cuisine but again no views. 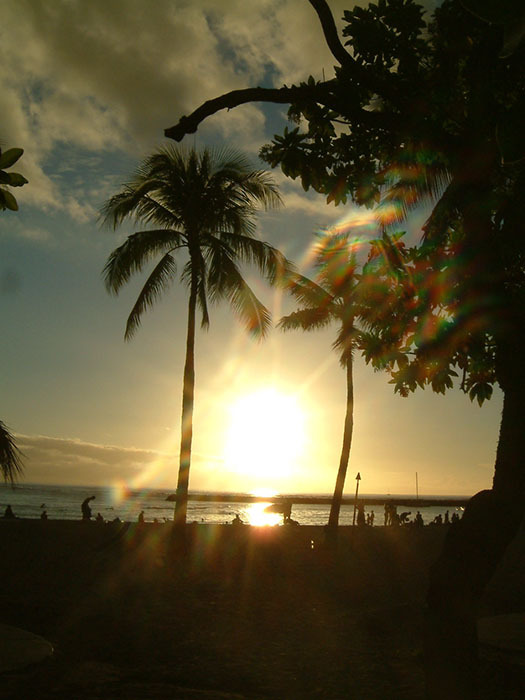 Throw off your flip flops and as the sun sets and wander from one end of the beach to the other as the sun sets. 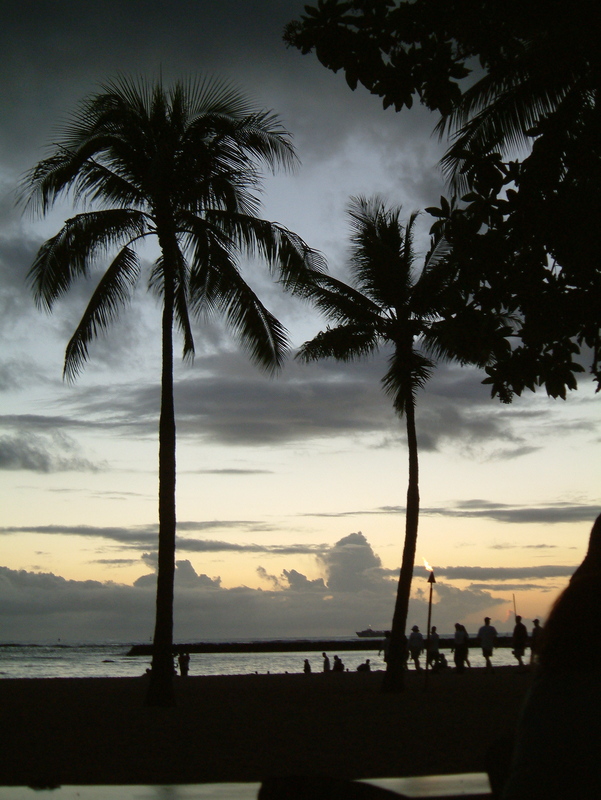 The warm gentle breeze rustles the palms on one side, waves crash on the other, lights from the hotels reflecting on the water and elvis tunes float into the night sky from the seafront restaurants and poolside hula shows. It’s the perfect evening stroll.